Our journey starts with how this site became a reality from a simple idea. It was with the plan to find the less famous prisoners that, up until now, had simply been forgotten. We wanted to share their stories and give them an identity. 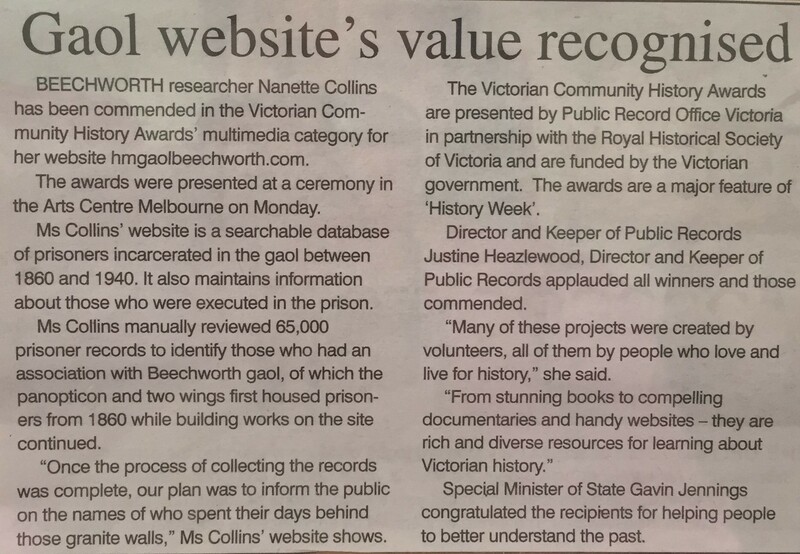 It was with that passion, intrigue and manually sifting through 65,000 prisoner records and pulling out the ones who had an association with Beechworth Gaol. 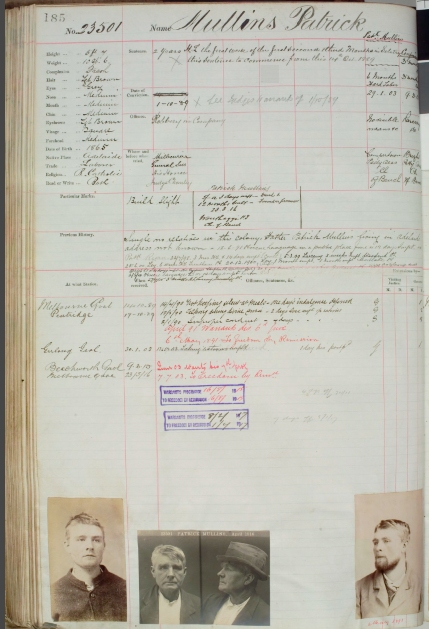 Once the process of collecting the records was complete, our plan was to inform the public on the names of who spent their days behind those granite walls. After months of tireless work pulling this data together, the end result was the launching of this website. Complete with prisoner’s records, escapes and hangings. 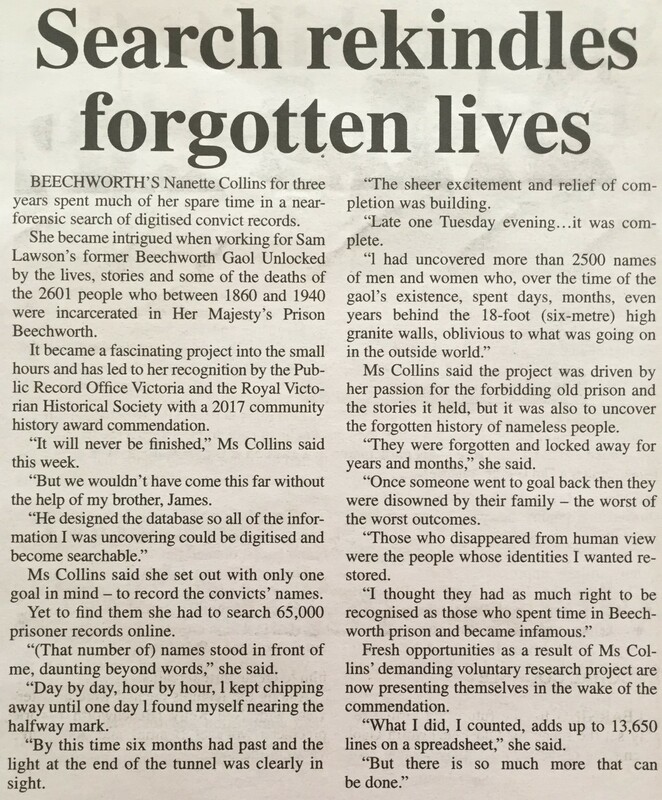 Our journey started as a project but quickly turned into a labour of love and appreciation of the historic significance of the old Beechworth Gaol. 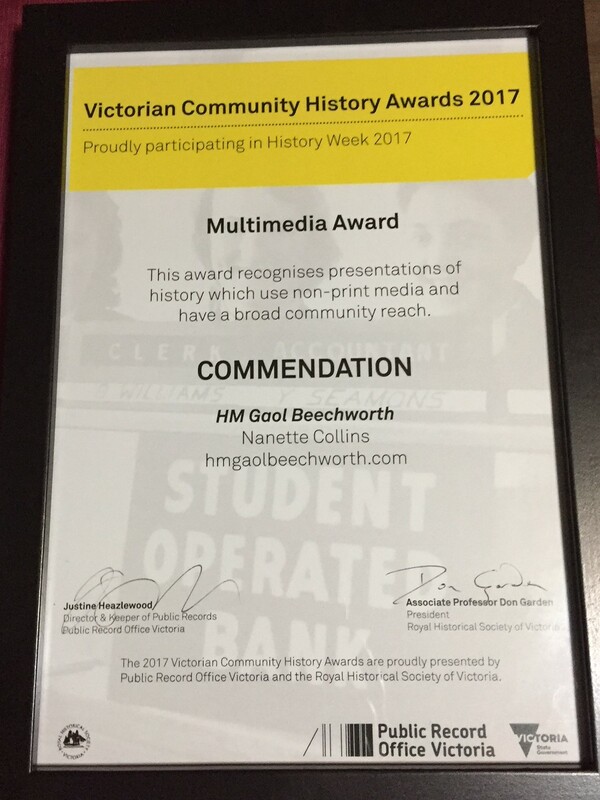 Commendation award presented at History Awards on the 16th October 2017. Ovens and Murray Advertiser. Published on the 18th October 2017. Ovens and Murray Advertiser. Published on the 1st November 2017. ABC Goulburn Murray radio interview. Aired on the 8th November 2017.